With 93 provincial government employees per 1,000 residents, Prince Edward Island has a large public sector by Canadian standards, and the third-largest public sector in the Atlantic region. The national average is 83 per 1,000. P.E.I. employed five percent more public employees per capita in 2015 than in 1997. Over this period, the national average rose 10 percent. 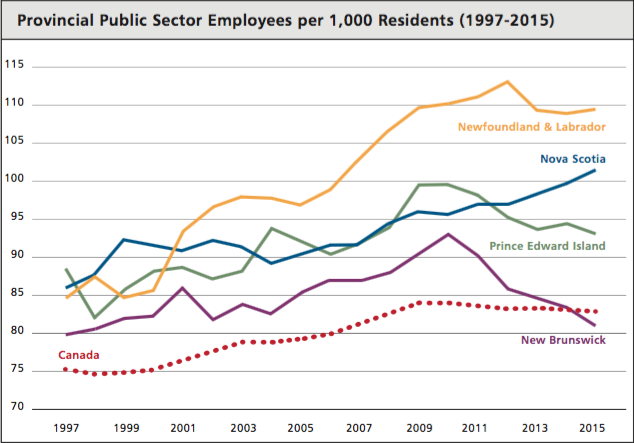 P.E.I.’s lowest number was 82 employees per 1,000 residents in 1998. Its highest was 100 per 1,000 in 2010. 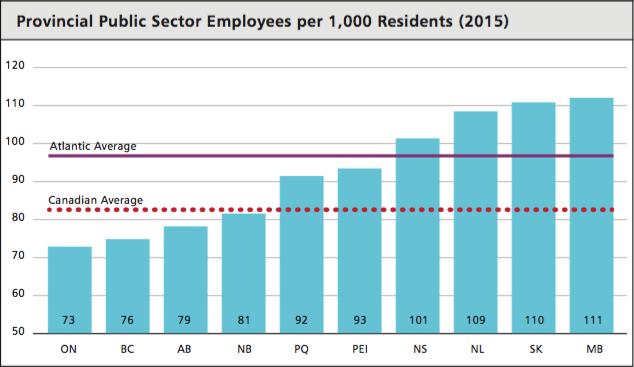 New Brunswick’s sector has also shrunk since 2010. NL roughly equals its 2010 number, having peaked in 2012. Nova Scotia’s has grown 5 percent. P.E.I. pays public servants, on average, $71,701 per year and employs 10 persons per 1,000 residents above the national average. Had the province employed only the average number of persons in 2015, it would have saved $108 million. This is a summary of our larger study. Please visit www.aims.ca/publicsector to read the full report. View this document in PDF format.